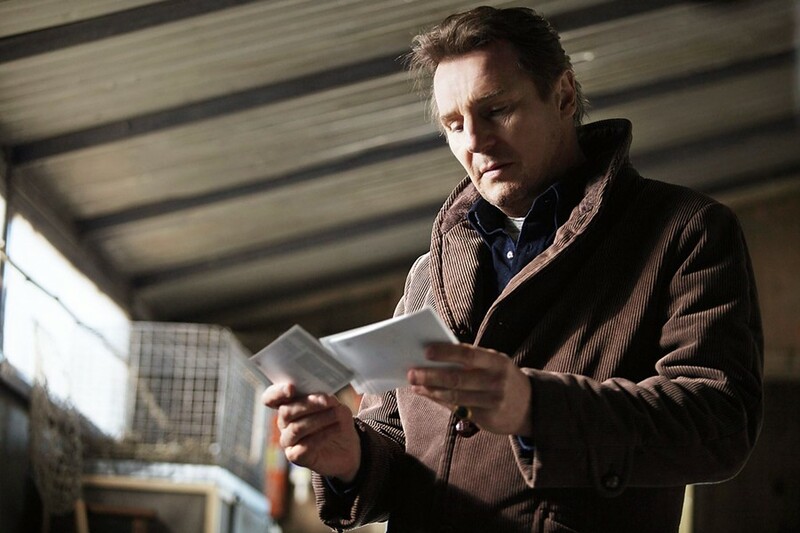 PHOTO COURTESY UNIVERSAL PICTURES Liam Neeson in "A Walk Among the Tombstones." Although the American private detective story traditionally takes place in California, especially in Los Angeles, many contemporary writers set their works in other locales, some of them actually quite implausible. A surprising number of stories these days deal with small towns, which hardly abound in enough murders, missing persons, stolen jewels, and similar problems to keep a private eye in business. The fine Matthew Scudder series by the prolific Lawrence Block, however, maintains much of its credibility through its remarkably faithful depiction of New York City, surely a prime location for criminal activity and the work of his unofficial sleuth. One of the most compelling features of Block's fiction is its close attention to the boroughs and neighborhoods of New York, whether Washington Heights, where the picture opens, the posh Upper East Side, or Borough Hall, an area in Brooklyn, all of which appear convincingly in the movie. (Ironically, the only previous Scudder novel to be filmed, "8 Million Ways to Die," starring Jeff Bridges, was relocated to -- where else? -- Los Angeles). The urban settings of "A Walk Among the Tombstones," following the novel with some fidelity, look very much like the real thing. Liam Neeson plays Scudder, an unlicensed investigator who sometimes, as he says, does favors for friends, who then sometimes give him presents, i.e. cash. A former cop with a heavy load of guilt from an accidental shooting that took a child's life, and a recovering alcoholic, Scudder spends some of every day attending Alcoholics Anonymous meetings, which punctuate the plot; the famous 12 Steps of the AA program even provide a kind of coda for the violence that explodes at the climax of the film. A fellow AA member asks Scudder to help his brother, a big-time drug dealer named Kenny Kristo (Dan Stevens), whose wife has been kidnapped, tortured, and eventually murdered. His money makes Kristo an appropriate target for the criminals and his means of earning it makes it unlikely that he would call in the police -- he's the perfect client for a completely unofficial detective. Unwilling to investigate until he hears of the brutality of the kidnappers, Scudder goes about his business in a convincingly low-key manner, talking to witnesses -- who often provide conflicting information -- following slim leads, conducting some tedious research. He accidentally picks up an assistant, a smart street kid named TJ (the actor calls himself Astro), who knows about Sam Spade and Philip Marlowe, emphasizing sometimes comically the contrast between Scudder and the private eyes of the great American tradition. The central mystery, which essentially reveals itself about midway through the picture, counts for less than the gradual disclosure of Scudder's character, through his methods, his words, and even his talks at his AA meetings. Scudder's mixture of reticence and openness, irony and sympathy, bluntness and delicacy, passivity and action, combine to create a complex and fascinating figure. Though reluctant to use force, he finally solves his case through bloody violence. The villains in the movie, played by David Harbour and Adam David Thompson, attain a special level of viciousness that separates them from others of their kind, in cinema or real life. Not content with simple kidnapping, they like to maim and mutilate their victims, apparently out of the sheer perverse pleasure of inflicting horrible pain. Their final actions also suggest that there is no honor among thieves. His roles in the "Taken" series (now a franchise), "Unknown," and the recent "Non-Stop" turned Liam Neeson into a something of an action hero, though one with a certain quality of gentleness. That gentleness conditions the character he plays in "A Walk Among the Tombstones," a wounded, vulnerable man wised up to the ways of the world, but burdened with a complicated past, a crippling weakness, and a pervasive sense of regret. Neeson possesses a powerful screen presence and the ability, so important for film acting, of suggesting a good deal through understatement and even silence: in the movies, less is usually more. The conclusion of the film and the interesting relationship between Scudder and TJ suggest that Scudder also might turn into a series character. Lawrence Block's novels certainly provide enough material to keep the character going for some time, a most desirable possibility.